Caddy was an 8 month old German Shepherd-Labrador mix. He was owned and loved by Frank Manuma and his wifeDebbie who said Caddy was their little boy. Frank and Debbie did not have children and Caddy was their first dog. They said police told them two men confessed to stealing the dog and one said the dog was slaughtered and eaten. They said that was confirmed by a third person who told police the dog was taken to his house, where it was slaughtered. “The horrific part is knowing how he died,” Weil-Manuma said, “I hope he didn’t suffer. It’s still kind of shocking.” She said that police told her the thieves dumped what was left of Caddy into a river when they discovered police were looking for them. Two men from Hawaii were indicted for stealing and butchering an 8-month old German Shepherd belonging to Frank Manuma and his wife Debbie Weil-Manuma. Circuit Judge Steven Alm issued $20,000 bench warrants for both defendants namely Saturnino Palting, 48 and Nelson Domingo, 53, both of Kalihi, Hawaii. Both men are originally from the Philippines. 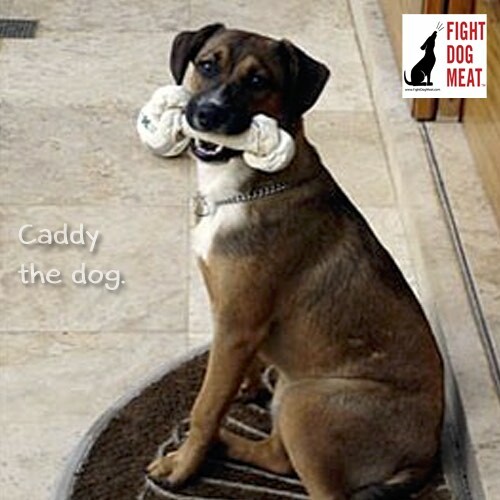 Caddy the loved pet who was slaughtered for dog meat. 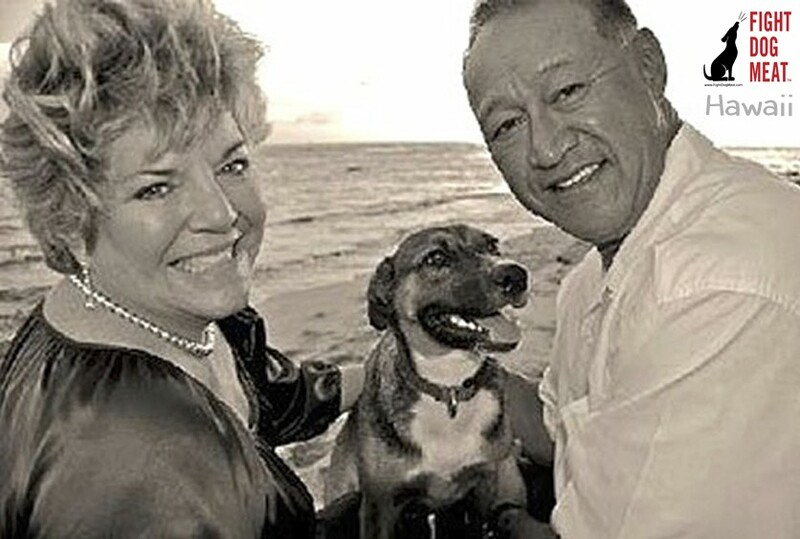 Manuma usually left Caddy at home with his wife when he went golfing in the morning and picked him up to ride along during his afternoon volunteer security shift at Barbers Point Golf Course. Caddy got his name because he was Manuma’s golf buddy. During Manuma’s security shift, Caddy sat in the driver’s seat and Frank drove the golf cart from the passenger’s side. But Manuma took Caddy with him to Moanalua Golf Club because his wife was on the mainland. She was scheduled to return that evening. Golf club manager Stephen Burke said “Frank is a relatively new member. He asked if he could bring it. We made an exception to allow him to bring the dog, then take it with him to work later,” Burke said. Caddy stayed on a leash at the clubhouse while Manuma was on the golf course. When Manuma returned about 11:30 a.m Caddy was gone. All that was left was his water and food dishes. 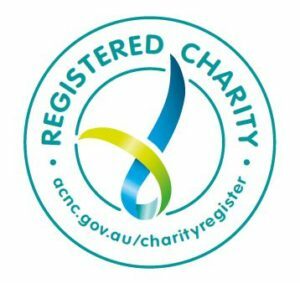 Confident that Caddy was not lost but just with someone, Manuma went to his volunteer job while Burke looked for the dog. Burke discovered that two Filipino maintenance workers, whose shifts ended at 11 a.m., were seen taking the dog. “We had some members see them load the dog into the car,” he said. According to the Star Bulletin Burke called police and called the employees back to work and fired them on the spot. He said one had been employed for about four years and the other, three years. In the Philippines dog is not usually consumed as a ‘meal to satisfy hunger’ but rather as finger food, commonly known as “pulutan” for men to snack on when binge drinking and proving their masculinity. Update: 2007: Kalihi Police Department arrested both men at their homes and they were taken into police custody.